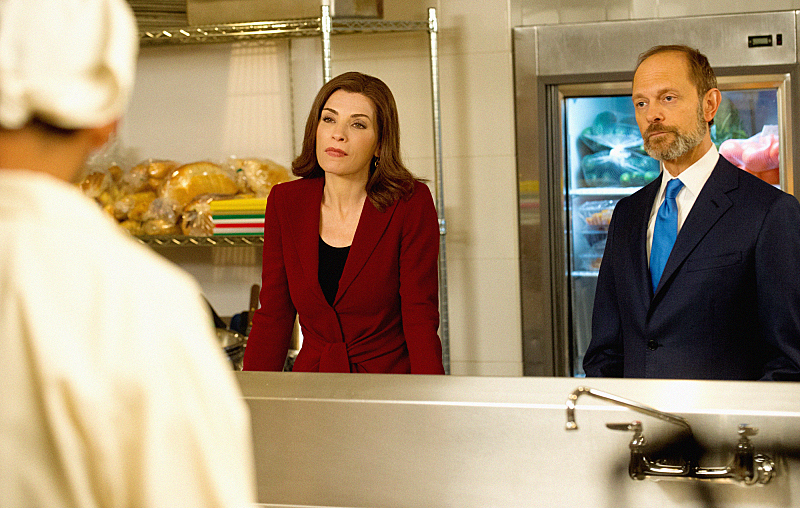 Alicia and Frank Prady Square Off in "The Debate"
The race for State's Attorney is on! Alicia and Frank Prady square off in a crucial debate in the race for State’s Attorney as Peter and the city of Chicago prepare for a potential riot, on THE GOOD WIFE, on the CBS Television Network. Cable news host Chris Matthews appears as himself as the debate moderator. David Hyde Pierce returns as Frank Prady. Rachael Harris guest stars as Franny Zissis, an aide to the Mayor of Chicago.